est100 一些攝影 4(some photos - 4): 印度橋下的免費學校. 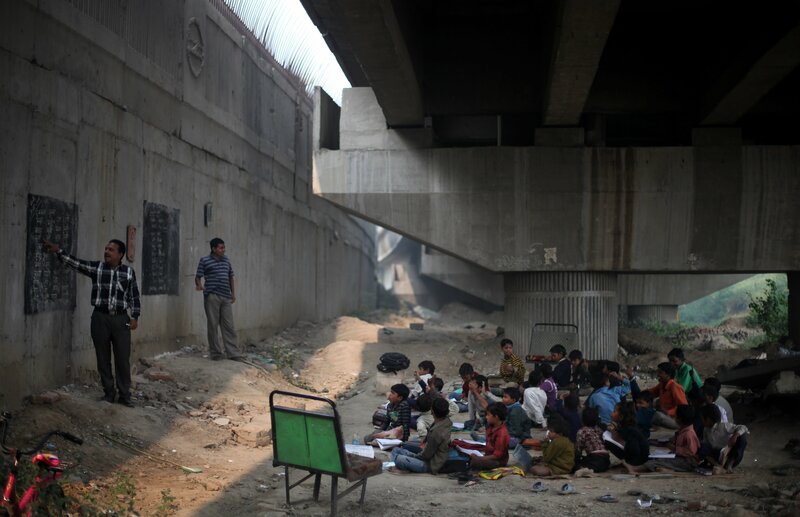 A free school under a bridge in India. Nov. 7, 2012. Indian child Rajesh, 8, reads from a black board painted on a building wall at a free school run under a metro bridge in New Delhi.